Cape Town is one of those places that stays with you long after you leave. We spent four days in Cape Town during a two week trip of South Africa. 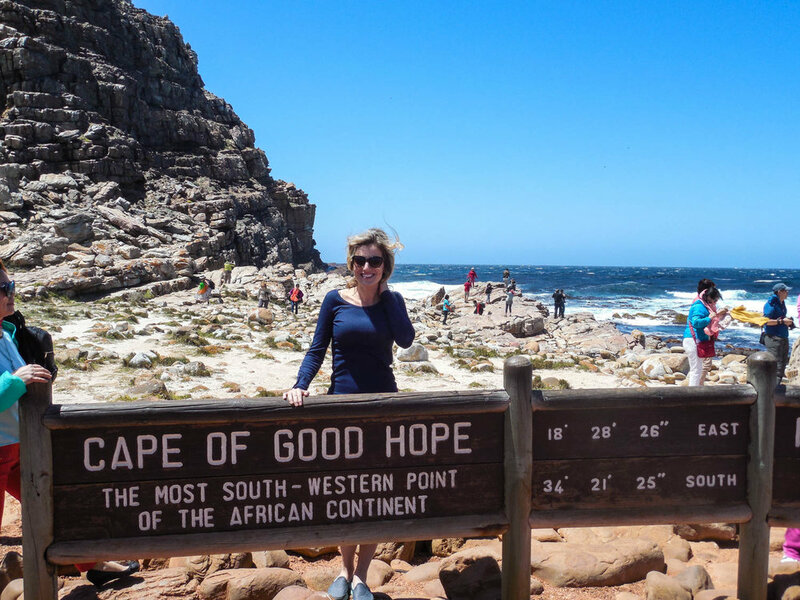 As soon as we returned home, I spent a few weeks seriously trying to figure out how to move to Cape Town. It's amazing city that I cannot wait to return to sometime in the not so distant future! Our flight arrived around 8:00 a.m. We picked up our rental car, drove to the hotel, and dropped off our luggage. The first activity we did upon arrival was the City Sightseeing Tour. We found this tour to be hugely helpful! It was a great way to get an overview of Cape Town. The views all around Cape Town are stunning. After the bus tour, we headed back to the hotel to rest for a few hours...flying through the night two nights in a row takes a toll on you! We had dinner at Fork Restaurant. Fork serves tapas style dishes. The food and drink we had all over South Africa was great and so affordable compared to U.S. prices! Morning: We took a tour of Robben Island. I highly recommend reserving tickets ahead of time as they do sell out in advance. As part of the tour package, you take a roundtrip ferry ride from the V&A Waterfront to the island. The tours are led by former prisoners. While on the island, you'll hop on a bus and receive a riding tour of the entire island. The ride takes roughly 30 minutes, upon which you will arrive to the main entrance to the prison. 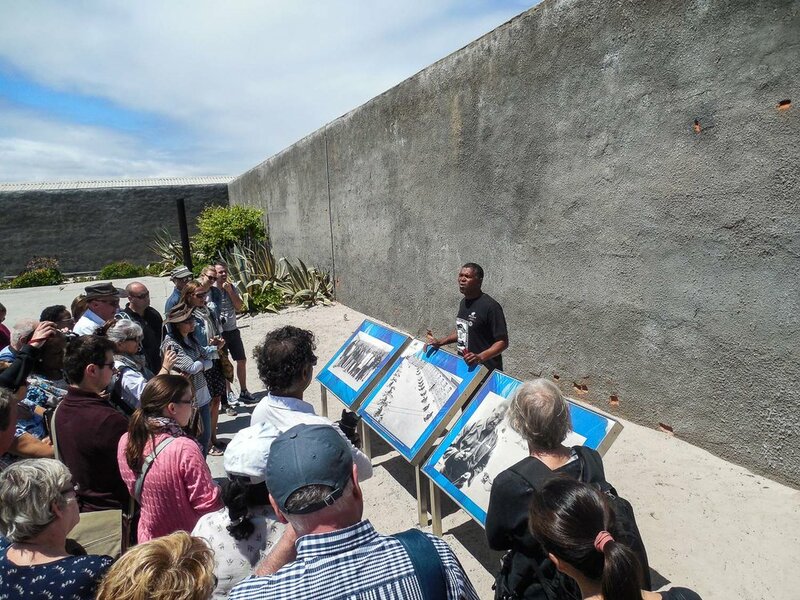 It should be important to note that the tour guides of the prison, were actual political prisoners during apartheid. Our guide was great and provided all sorts of historical and personal accounts of the prison. From showing us the "beds" they slept on to the actual cell Nelson Mandela called home for 18 years! Throughout the entire tour, our guide preach a basic principle that was delivered to him during his time as a prisoner: Forgiveness. It was a captivating experience and you should not miss! Cell Number 5: Nelson Mandela's home for 18 years! The view of Cape Town and Table Mountain from Robben Island. Unfortunately it was a cloudy day, but you can almost see Lion Head (right) and Table Mountain (center). Lunch: We arrived back to the V&A Waterfront following the tour so we had lunch and walked around the harbor area for a few hours. It's a great spot for souvenir shopping. Afternoon: We hiked Lion's Head Mountain! This is a short (2 hours) but intense hike that has incredible views from the top. About 30-45 minutes into your hike, you will come upon a fork in the road - one leads you on an easy path, the other involves climbing up chains, ladders, and large boulders. We opted for the "easy path" but it still involved some frightening climbs, including a ladder hanging off a 1,000 ft. dropoff. Once you've reached the summit, you can see all of Cape Town - it truly is an incredible climb with amazing views. We drove the loop around the Cape Peninsula starting in Cape Town through Muizenberg, Kalk Bay, Fish Hoek, Simon's Town, and Boulder's Beach to the Cape of Good Hope (the southernmost point in Africa). We enjoyed lunch at Two Oceans Restaurant which has fabulous views overlooking False Bay. On the return trip we drove through Noordhoek, Chapman's Peak and Hout Bay back to Cape Town. The actual driving length is not that far but you should allow time to stop in a few of the towns and to take a thousand photos along the way! If photographing wildlife is your thing, you'll have the chance to capture images of penguins, baboons, and other indigenous animals. However, we didn't see a single one... maybe next time? You can hike the mountain or take the cable car. We choose the cable car since we had limited time. Plan to spend a few hours at the top. Amazing views from every angle (common theme in Cape Town!). The cable car service is very weather dependent. We actually planned to visit the mountain earlier in the week but had to reschedule due to weather (high winds). I would go up the mountain the first available chance you get! We had another late dinner at Black Sheep Restaurant. We so enjoyed the restaurant and it was just a few blocks from our hotel. Morning: We spent the morning at Kirstenbosch Gardens. It's beautiful and a great way to spend a few hours if you have time. In the summer months, they have concerts in the evenings. Afternoon: We spent an afternoon relaxing at Camps Bay beach. A trendy area with lots of restaurants and bars. Great for sunbathing but not much swimming because of the cool water temps and shark warning signs everywhere! Dinner: For our final evening in Cape Town, we dined at La Moquette in the Sea Point neighborhood. We stayed at the DerWent House Boutique Hotel . The hotel was one of the highlights of our experience in Cape Town. This boutique hotel has all the extra touches including made-to-order breakfast each morning, complimentary laundry service, Cape Town guide books and maps for guests, beach bags and towels for day trips, an honesty bar and snacks in the evenings, and so much more! The owners and employees are some of the kindest and helpful people we've encountered anywhere. We rented a car for our entire South Africa trip. I wouldn't say a car is absolutely necessary for Cape Town, but it makes some of the day-trips easier. We used Uber frequently in Cape Town. It was safe, reliable, and very affordable. Let us know if you've been to Cape Town and have any suggestions of things we should add to our next trip. We are planning our next trip for November 2019!